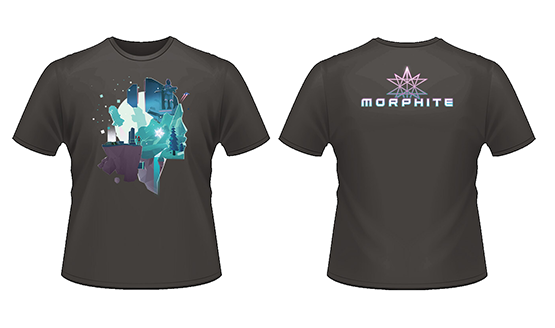 In honor of today’s launch of the stylish space exploration game, Morphite, the kind folks at Crescent Moon Games, Blowfish Studios, and We’re Five Games are partnering with PSLS to give you a chance to win a custom PS4 Slim, T-shirt, a code for the game, and more Morphite swag. We’ve got quite a bit to give away, and a few ways to enter, so don’t miss your chance to get this awesome looking console. Prizes: The grand prize winner will be taking home a custom Morphite PS4 Slim, along with a bunch of swag and a code for the game. The runner-ups will each be getting everything in the runner-up list of prizes. How to Enter: To enter here on the site, all we’re asking is to leave a clever comment below. It could be anything. What do you like about PSLS? What do you want to see us improve? What are your thoughts on the state of indies in the gaming landscape? What did you have for breakfast? Make it interesting. Capture our attention. You can also head over to our Facebook page to like and share the giveaway post pinned at the top. And finally, over on Twitter you can follow us (@PSLifeStyle) and retweet the giveaway tweet pinned at the top of our page for yet another shot. The Fine Print: Giveaway is only open to residents of the US (sorry international readers! We promise, we’ll work on getting you a sweet giveaway soon!). The giveaway will run until September 27, with the winners to be announced the following day, so make sure you get your entries in before then! After winners are selected, we will be contacting you to confirm eligibility and get your address. If you do not reply within 48 hours, another winner will be selected. Prizes will be shipped in early October. Make sure to read our review of Morphite, where we made a number of comparisons to No Man’s Sky. When it comes to the actual gameplay, Morphite is quite generous to the player with loose controls, high jumps, and a VATS-like targeting system that makes it easy to take out a swarm of enemies. It’s set up to be a casual experience, and I quite enjoyed just laying back and not having to worry about constantly re-fueling my life support when grind resources. And in the case of untimely death, the checkpoint system will only send you back a minute or two. Lasers, pistols, and powerful grenades make up a varied arsenal that can be equipped with a shuffle of the d-pad or a quick pause that lets you pick the right weapon as time freezes. The auto-locking pistol is by far the most satisfying weapon to use as the screen almost warps left and right to track the movement of enemies. There’s also a few boss fights scattered throughout the short campaign which forced me to get up from my laid back slouch and focus. 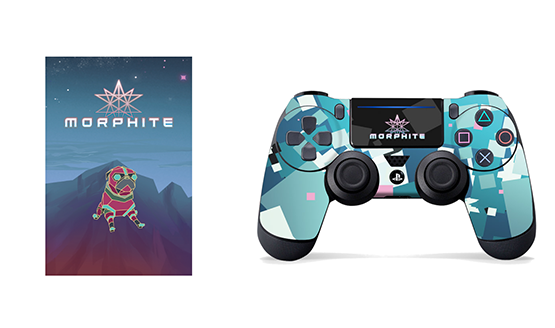 Good luck to everyone entering our Morphite custom PS4 giveaway.